There’s always an urge when you arrive in a new city to “make your mark” – to go out into the middle of it and make sense of it, somehow. The newly-arrived do this in many different ways, of course. They might climb that city’s tallest building, or ascend to the top of whatever that city’s main viewpoint is: to visualise the place in its entirety, stretching away from smart central blocks to decrepit suburbs. They might go a-wandering down that city’s streets to the main square, or perhaps to its darkest back alley, to have a drink in a notorious bar or cafe and people-watch, and become acquainted with the destination that way. In Bardejov’s case, the best way to do it is to “walk the walk” of its recently restored town walls. There are not many towns or cities in Slovakia with their original ancient walls in tact and this, already, propels Bardejov onto the elite list of places to visit. But Bardejov’s walls go a step further even than those of nearby and likewise Unesco-listed Levoča: you can walk them, all the way around the old town, and in so doing patrol the periphery of the country’s most impeccably preserved medieval centre, just as if you were a guard defending against the myriad invaders that once plagued the region. Bardejov, by way of introduction, squeezes on to most people’s grand tours of Slovakia (if they do a grand tour, that is) despite its out-of-the-way location in the far north-east of the nation (Bratislava-Trenčin-Malá Fatra-High Tatras-Levoča-Spiš Castle-Košice-Bardejov is the classic travel route) and its main allure is its spectacularly maintained 14th- and 15th-century architecture, wrapped around by the afore-mentioned walls. The result is, in our opinion, Slovakia’s prettiest town. Still, though: venture here and you will nevertheless feel like an adventurer, for tourists do not come in the big flocks they do in Western Europe. 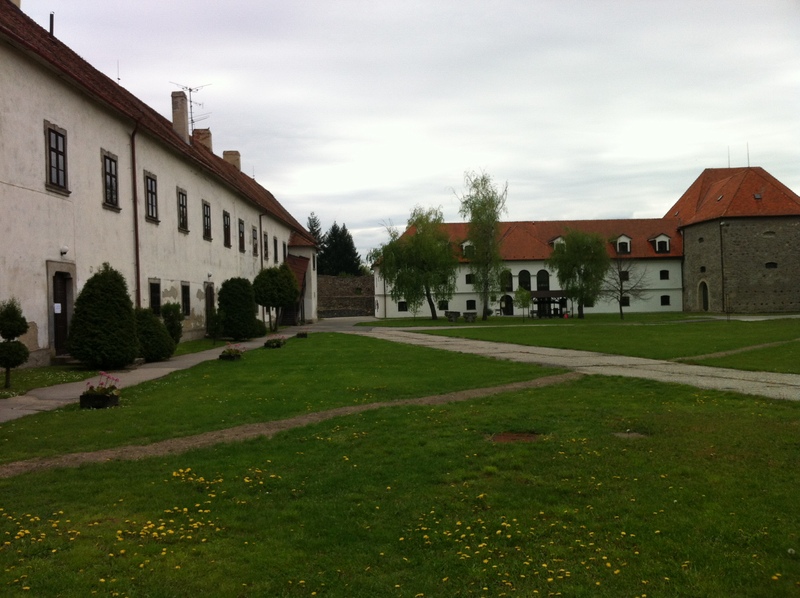 On my last two visits to Bardejov, I’ve been one of only a handful of foreign visitors – and that in the high season. For such a beautiful town, and to experience it so tourist-free, you would have to travel a very long way on this continent: and what is heartening about Bardejov’s wall walk is the confirmation that the Unesco money is being spent on continuing to conserve the town’s very special heritage. Bardejov features on our Top Ten Medieval Towns in Slovakia – click the link to find out at which position! It’ll take you around 30 minutes, at a leisurely pace, to walk around the circumference of the walls, best done in a clockwise direction from the main city entry point on the street of Dlhý Rad on the north side, right opposite where the banks are. Ascend the grassy banks via the steps and then turn left to head along a particularly rejuvenated and elevated section (as per the feature image), overlooking the northernmost of the town centre’s burgher’s houses – many of which date to over 500 years of age. Think of the walls encircling Bardejov as a clock face, with your entry point as 12 o’clock. After the elevated section you’ll drop down to continue on a small cobbled lane passing a couple of bastions, which brings you round to the southern (upper) end of Bardejov’s vast, spectacular central square or námestie, Radničné námestie at about 6 o’clock. Following the wall on around clockwise, you’ll walk via the old monastery, Klaštor Frantiskánov and the adjoining church of Svätého Jána Krstitel’a, before bearing round to the north and the superb Hotel pod Bránou, nestled within the walls three blocks west of the square. It’s here, almost at the end of the circuit of old Bardejov, that you might want to indulge in some refreshments: either in the courtyard dining area of the hotel OR just beyond on the sunken garden area immediately to the northeast around Miškovského, with a cracking good ice cream stand: perfect for sitting and appreciating the refurbishment of the city’s northern bastions, splashed by a lovely fountain (history, THEN food – see what we did there?). Walls patrolled? It’s time to head the three blocks east from Hotel pod Branou to the set piece of the town, the central square/Radničné námestie: crowned at its northern end by its beautiful cathedral, Bazilika Svätého Egidia. Whilst the cathedral on the main square has its origins in the 13th century, the fortification of Bardejov were improved radically in the 14th century (and it is this work which provided the basis for the modern town walls). Most of the houses in the old town were originally erected in the 14th and 15th centuries and by the 16th century, Bardejov had already passed its zenith, with pandemics and a clutch of wars bringing it down to its knees. Golden age number two could well be right now. GETTING THERE: Getting to Bardejov isn’t as easy as it should be, because it’s on a spur train line. Coming from Bratislava by train (3 trains daily), you’ll have to change at first Kysak and then Prešov, with total journey time 7 hours 30 minutes and total cost 20.30 Euros. Coming from Košice by train (trains every two hours), you’ll have to change at Prešov with total journey time 1 hour 55 minutes and total cost 4.15 Euros. Buses are as frequent and as quick from either city to Bardejov. NEXT ON THE JOURNEY: From Bardejov it’s 35km east to Svidník and one of the world’s most fascinating war museums. Slovakia’s turbulent history – with stints under the control of several different empires – means tracing your roots can be tough. Nevertheless, many of those with Slovak ancestry do want to take up the challenge, and it’s here that one of the country’s newest tour operators comes in handy. Based in the High Tatras, Ancestry and Genealogy Tours Slovakia have many years’ previous experience as an adventure tour operator, Adventoura, but have recently added this separate arm to their enterprise: partly because of the owner’s interest in uncovering more information about his own heritage (he’s connected to the Rusyn people of Eastern Slovakia, and to a small village in Slovakia’s whiskey-producing region of Stará L’ubovña. The premise is simple: if you want to discover more about your roots, either Slovak or (as investigations sometimes pan out) any roots that originate in the countries surrounding Slovakia such as Poland or Ukraine, then get in touch with them beforehand, allow them a few weeks to do the wider research into your family history in the region and then, when the necessary information has been gleaned, and family members in Slovakia and vicinity contacted, book your flight to Slovakia to commence the experience. Packages with such specifics being researched and incorporated into the tour are all unique and tailor-made to the individual requirements of the customers. The key theme of the trip will be the reunion with long-lost relatives – if Ancestry and Genealogy tours Slovakia have managed to locate them, and if the customers so desire. Trips can last up to 14 days in some cases, with every aspect from food to accommodation possible to arrange with the agency. Often, partly because migration was historically higher from Eastern Slovakia, and because the agency is based in the eastern half of the country, tours take in sights in this part of Slovakia of historic interest. There is the personal level, too: generally, those intrigued by their family’s past are also fascinated to see what the places their family were surrounded by in their daily lives are like. Thus Eastern Slovakia’s wooden churches and the gorgeous Unesco-listed town of Bardejov and Levoča (where the historic archives for the area are located, and which can be visited as part of the tour) are popular stop-offs on the itinerary. “Every trip involves a totally different story or set of anecdotes” smiles Erik Ševčík, who set up the company. “Quite funny is when, because of the family’s excitement and getting back in touch, the customers and the relatives they have been reunited with forget they can’t speak the same language (because older people in Slovakia rarely speak English, and many of those retracing roots have English as their mother tongue, not Slovak any longer). So they are chatting to each other and neither can understand the words the other is saying, yet on some deeper level they really are getting on with each other like old family members already after just one meeting! Ah Levice! The stunning medieval town square; the church with the sublime craftsmanship of the architect Master Pavel; the famous pilgrimage site of Mariánska Hora; stunning national parks nearby… No. 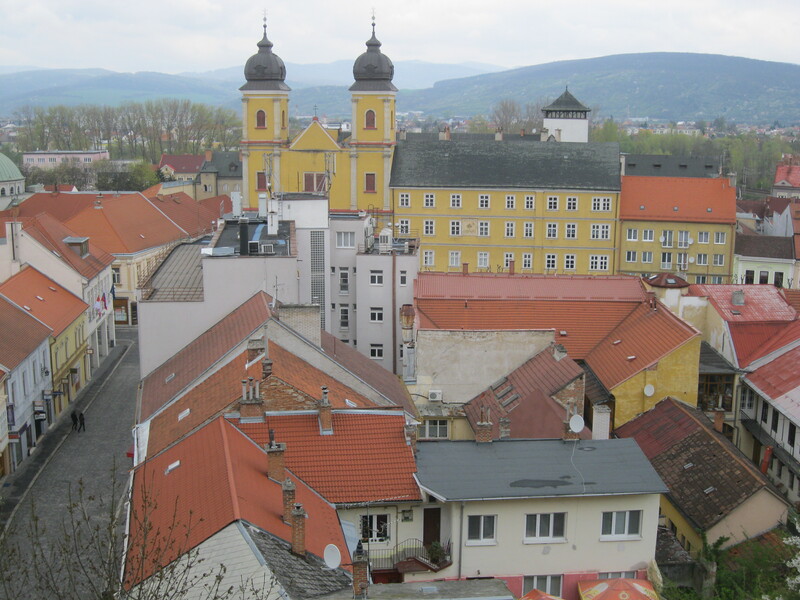 That’s Levoča, one of the pearls of Eastern Slovakia and a million spiritual miles away. Sorry to disappoint. This piece is about Levice, a rather less-celebrated town that might well be relying on the similarities with the names to get any tourists at all. But Levice does have one very interesting sight, which is worth the stop-off if you’re on the way through from west to east. And that’s the castle complex. It does not jump out at you as sensational (it’s not on a hill, which somewhat hampers the dramatics). You approach it via a park off Hwy 51 which comes out of the blue, surrounded by a plethora of out-of-town housing and retail parks. The park has as one of its perimeters the outer wall of the old castle buildings but, despite having some clearly had some air of grandeur once, has long lost it. It’s overgrown, walls are graffiti’d, once ornate benches lie in various states of collapse. Then you round a corner, duck through a gate and suddenly you are in a little bubble of medieval Europe. Well, medieval and renaissance, to be precise. The old ruined castle on the small ridge dates from the 13th century whilst the newer (and nicely whitewashed, you’ll notice) part of the castle which encircles this is 16th century, and the work of Turkish resistance hero István (Stephan) Dobo. It is these 16th century buildings which contain the rather impressive, and nicely refurbished Trekovské Muzeum, a museum with some fascinating exhibits in the area’s history and role in defending the area from those marauding Turks. Is Levice really so bad? It really didn’t have to be. The castle complex has real potential for a delightful tourist diversion. But because of the attitude of the castle staff, it was. They ruined the one jewel of the town for me. But let’s hope that, if you’re passing this way, you’ll risk the unfriendly castle employees for the clear reward of the fascinating castle buildings around. And arrive at a time they deem it suitable to let you in. It should be noted, though, that however friendly or unfriendly Levice seems to tourists its role in travel writing and the travel industry cannot be underestimated. It was the birthplace of Eugene Fodor, founder of Fodor’s travel guidebook series. GETTING THERE: Trains run from Bratislava direct every two hours for a mere 4.90 Euros. NEXT ON THE JOURNEY: From Levice Castle it’s 40km northeast to medieval Banská Štiavnica and its superb mining museums. It’s not just the nature that’s spellbinding in Slovakia: some of the smaller towns – whether as a result of castle strongholds against marauding Turks, or being major Medieval mining centres or having healing spas – grew up in magnificence centuries ago and have not lost any of their glory since. Note that we’re talking towns (or large villages with decent facilities) here: not either Slovakia’s big cities (which will get tons of other mentions anyway) or the country’s myriad small folksy villages – which will be the focus of later articles! Rožňava is yet another of those former mining centres – and along with Skalica by far the least known about destination on this list. That’s partly to do with its location, in the east of Slovakia. The town centre is meticulously preserved: studded with more of those incredible burgher’s houses (17th and 18th centuries). The cathedral is particularly interesting – artwork inside includes depictions of mining activity in times gone by – with more about the mining legacy in the nearby museum. Get There: Direct bus from Bratislava or train to Košice and then bus (6-7 hours). More Info: We don’t have any more info on Rožňava ourselves – yet! (although this will change very soon). There is precious little English information anywhere, in fact: but for now perhaps the best is on Visit Slovakia. We’re not including the whole of Poprad here. Poprad’s got enough, right, what with the wonderful adventures awaiting in the High Tatras just above town? And the majority of tourists will come to Poprad and never see this gorgeous Medieval neighbourhood, because they’ll be busy getting up into the mountains asap. Mistake: Spišská Sobota is a tranquil locale of Renaissance buildings about 1.5km northeast of central Poprad, just past Aquacity Poprad. It boasts architecture by the enigmatic Master Pavol, who was of course the man behind the amazing altar in Levoča. Get There: Train to Poprad (4 hours). OK, it’s debatable whether to include Ždiar in the town or village category, but its Tatras location makes it enough of a popular stop with tourists that it’s got half-decent facilities – and the sheer length of it, stretching up the foothills of the High Tatras as it does, mean it’s a town for the purposes of this list. With Ždiar, it’s not any one building that stands out but all of them (at least in the centre) because this place is dotted with great examples of Goral-style painted wooden houses. Goral culture is an important and distinctive element of the culture in this part of Slovakia. For Englishmaninslovakia’s post about Ždiar, follow this link. Skalica receives little attention outside of Slovakia: except perhaps from the good people of the Czech Republic, as the town sits right on the border. But Skalica is cool. And very, very pretty. The postcard pictures are of the Baroque-domed rotunda, originally dating from the 1100’s – but the town also has several intriguing churches and an early 20th-century Kultury Dom (culture house) inspired by Czecho-Slovak folk culture. Get There: Train from Bratislava, changing at Kúty (1.75 hours). Kežmarok often gets overlooked in favour of Levoča or Bardejov in Eastern Slovakia and whilst it’s not quite as spectacular as either, this town in the shadow of the High Tatras has a better castle than both and has a very smartly done-up Renaissance town centre, including its two famously contrasting places of worship: the stunning wooden church and the rather more stark pink Lutheran cathedral. Get There: Train from Bratislava, changing at Poprad (4.5 hours). More info: We don’t have any more information on Kežmarok ourselves – yet! But for the moment the town tourist information website has the best in-English info available on the net. The easiest of Slovakia’s great Medieval towns to visit is Trenčin. As you’re heading along the main route east in Slovakia its vast castle, rearing out at you above the Vah river valley, would be reason enough to visit. Clamber up for great surrounding views of the Small Carpathian mountains through one of Eastern Europe’s curious covered staircases from the Staré Mesto (Old Town) but don’t forgo a stroll around the centre – with the central square of Mierové Námestie a trapped-in-time treasure trove of largely 18th-century buildings. There are a load of great castles in the Trenčin area, too: the city’s castle itself is sublime, and just outside there are more fortresses such as Beckov Castle. Get There: Direct train from Bratislava (2 hours). Just east of Poprad and therefore easily factored into any trip heading east in Slovakia, Levoča is justifiably one of Slovakia’s most celebrating medieval beauties (as far as towns go at least). The big draw here (standing out above a host of alluring buildings stationed around the central square) is the Gothic church of Chram Svätého Jakuba, which has the world’s highest wooden altar – replete with elaborate decoration. The work is the great legacy of Master Pavol of Levoča: responsible for much of Slovakia’s best Medieval architecture. There’s also a great hike that you can do from the centre up to Mariánska Hora, a famous pilgrimage destination. More info: See our article on Levoča’s wonderful autumn music festival. Otherwise, try the English section of the town’s tourist information website. A few more people have heard of this other ancient mining town (also Unesco-listed) southwest of Banska Bystrica and south of Kremnica. Banska Štiavnica was once the Hungarian Empire’s second-most important city. It rose to prominence at a similar time to Kremnica (actually slightly earlier) but on the back of silver ore deposits in the local mines, this time. Steeply-pitching cobbled streets, a brace of castles and a dramatically-situated Kalvaria number amongst its many architectural jewels. The most beautiful of Slovakia’s ancient mining towns is the least-visited. It owes its splendour to the presence of lucrative goldmines in the area – which have been used since the first centuries AD and, since the 13th century, actually made this one of the world’s foremost mining centres. West of Banska Bystrica, it’s still the site of the world’s oldest-working mint, which once produced coinage for locales as far-distant as the Middle East. Get There: Train from Bratislava, changing at Zvolen or bus/train from Bratislava to Žiar nad Hronom, then bus (3-4 hours). RELATED POST: The geographical centre of Europe is just outside Kremnica – our more detailed post on the town itself is coming soon. In the north-east of Slovakia, Bardejov’s Unesco-listed námestie (central square; see the pic above) is one of the largest, most in-tact and visually stunning in the country: flanked by 17-18th century burgher’s houses and with a Town Hall placed unusually in the middle of the square, dating from 1505 in Gothic/Renaissance style. Around the edge of the Staré Mesto (Old Town) you can walk much of the old city walls. Get There: Train from Bratislava to Poprad, then bus (7 hours). More info: Bardejov is a great base for visiting Eastern Slovakia’s fabled wooden churches. and soon on the site we are making Bardejov into one of our Top Slovak Stop-offs (as well as Modra, Piešt’any, Trenčin, Banská Štiavnica, Poprad and Košice)! Poprad is the gateway to the High Tatras. Whether you’re coming here by road or rail you’ll have to pass through this sizeable city to those tempting and frankly quite bizarre looking mountains just beyond. And of course the question is: why stop? Why indeed, when there’s the beginnings of a mountain wilderness with scintillating hiking, and climbing – and some pretty exceptional skiing just a half hour’s drive or mountain rail ride away? The question seems more poignant yet when you see Poprad’s centre which, somewhat marred by tasteless ’60’s and ’70’s development, is no Levoča – not, in other words, with a great deal of old-fashioned charm (although in fairness it has been spruced up no end of late and now sports leafy boulevards, revamped museums and a burgeoning pavement cafe culture). But after a concentrated couple of days in Poprad recently, Englishmaninslovakia has come up with a list of Poprad’s plus points – and the list is longer than many might think. Before you rush off into the mountains, it’s worth pausing to find out exactly what you can (and, sometimes, can’t) do there – and Poprad is the fount of all Tatras outdoor activities knowledge. There are several key bases you might want to head to – Ždiar for culture, Tatranská Lomnica for the highest mountains, Starý Smokovec area for some of the main chairlifts up into the mountains proper (and the most abundant accommodation) or Štrbské Pleso for the biggest ski resort, great hiking and that cherry on the cake of Tatras Hotels, Grand Hotel Kempinski. Do you, for example, want to go husky sledding? Would you like to stay in fancy accommodation or huddle in a mountain house? Do you like hanging from a chain off a precipice or not? The answers to all these and more will influence where you want to end up, and Poprad’s perfect for providing answers. 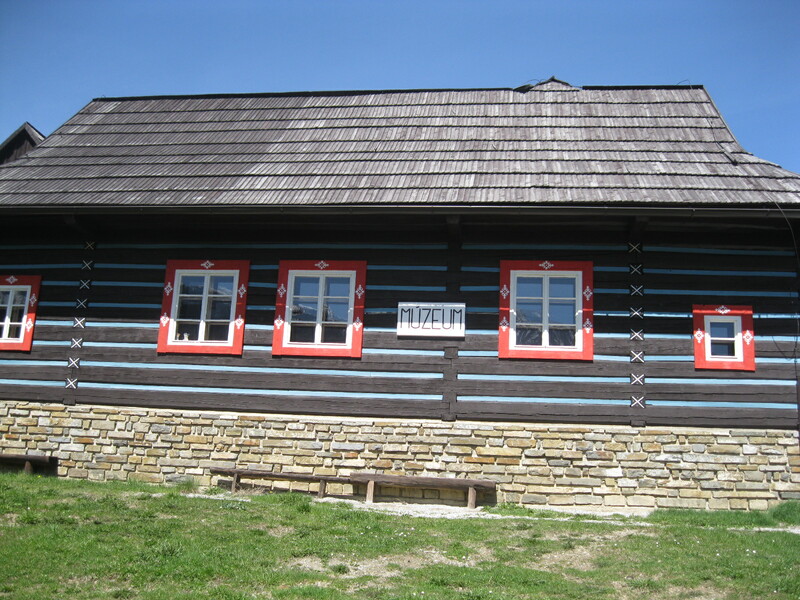 You can check out the pleasant little tourist information office or scout out the veritable mine of Tatras information that is Adventoura tours (actually Poprad’s coolest tour agency and offering loads of different activities). Yeah – so get all the info you need, which will take an hour or two, and then go off and do something like – well – one of the things right below! Spišská Sobota is one of the best-preserved clutches of medieval architecture anywhere in Slovakia. It doesn’t grab the headlines like nearby Levoča does but it’s almost as splendid. The Gothic Kostol Svätého Juraja (Church of St George) at the western end of the long tapered oval of the námestie dates from the 13th century originally and – get this – the enigmatic but highly regarded Master Pavol was responsible for the altar here. Just across the way is the church architect’s old workshop. But quality is kept high in the modern day too in Spišská Sobota. Arguably Poprad’s best restaurants flank the square here (such as Vino & Tapas, where the owner cooked for the Queen when she visited Poprad, on the northern side – or Fortuna on the southern side). Then there’s the atmospheric accommodation options in and around the square (again, in our opinion, Poprad’s best (Penzión Sabato, Penzión Fortuna or, a block off the square, Penzión Plesnivec). Oh, and how do you find Spišská Sobota? You take the main road Štefánikova and follow it (or the river running alongside it) east from the centre for about 1.5km, past Aqua City, then turning left at the sign for Penzión Plesnivec. Or follow the river along passing Aqua City until you hit the bridge by Hotel Sobota, turn left then take the first right up the hill to where you can already see the Spišská Sobota church tower. Ten minutes’ drive outside Poprad is a forest park which gives you better views of the High Tatras than you get in the High Tatras (if you want an overview of the whole range, that is). There’s a farm here which may be your best chance to see the timid mouflon (large-horned mountain sheep) that have a large enclosure of several acres here. In Kvetnica there’s also a network of hiking and mountain biking trails and a chateau. Kvetnica is also much more verdant than a lot of the Tatras are – it makes for a gentle and enjoyable afternoon’s walk. Ask at the Poprad Tourist Information how to find it – it can be quite tricky. This art gallery is well worth a visit – you don’t expect to encounter culture in a mountain resort supply town but here it most definitely is. We’ve recently written this new post about the venue at Hviezdoslavová 12 known as the Elektráreň (Power Plant). It hosts some pretty damned good exhibitions! 7: Cool Cafes (and Caffes) from Belltowers to Bistros! In one of several buildings that still retains its old-fashioned grace (the bell tower right behind the church in central Poprad), the mean espresso mini-chain Caffe Trieste has opened its doors. I mean “mean” in terms of the cafe’s ability to produce a mean espresso, of course; not that its staff are mean (they’re not!). There’s also a wine bar here (upstairs up the spiral staircase) – making this the city centre’s most atmospheric drinking spot by a country mile. Oh, what is that beautiful correlation between mountain town resorts and chocolatiers? I don’t know, but I’m very happy with it. This is one of the best chocolatiers in Slovakia, and it’s right by the train station. I’d argue it’s even worth missing your train for. Small (and quite inviting) area for actually sitting and sipping – but you can always take that hot chocolate “to go” (yeah, in Slovakia now they actually often use the English “to go” for takeaway food which is rather comical when you listen to an ancient Slovak babka (grandmother) that cannot speak another word of English uttering it). Anyway, Bon Bon is on Dominika Tartarku – heading north from Štefánikova towards Poprad Tatry train station. In an old schoolhouse out in the paneláky, Poprad’s coolest and liveliest pizzeria has been going ten years and is still every bit as popular as ever. Inside, it looks cosy too, with three dining areas and a great array of tasty pizzas. I’ve actually never seen a pizzeria even in Bratislava look as inviting as this one. It’s just south of the hospital on the other side of Rte 18 from the centre – and perfectly walkable from there. Pizzeria Utopia might be one of the first of this new breed of cool Poprad restaurants but it’s the tip of the iceberg as far as local dining goes. Our post on Poprad’s new gourmet burger joint. The final thing to remember is that Poprad is a far more pleasant mountain supply town than Zakopane on the Polish side of the Tatras and is certainly no worse than, say, Aviemore in Scotland or in fact many of those terrible big, soulless French ski resort towns. It’s not as beautiful as what lies just beyond, true. But it does have plenty of hidden charms… and yes, a little soul. GETTING THERE: Trains run every 1.5 to 2 hours from Bratislava’s Hlavná Stanica station to Poprad, take 3.5 to four hours and cost 11 Euros for regional trains or 19 Euros for the flashy IC trains (which have wifi).